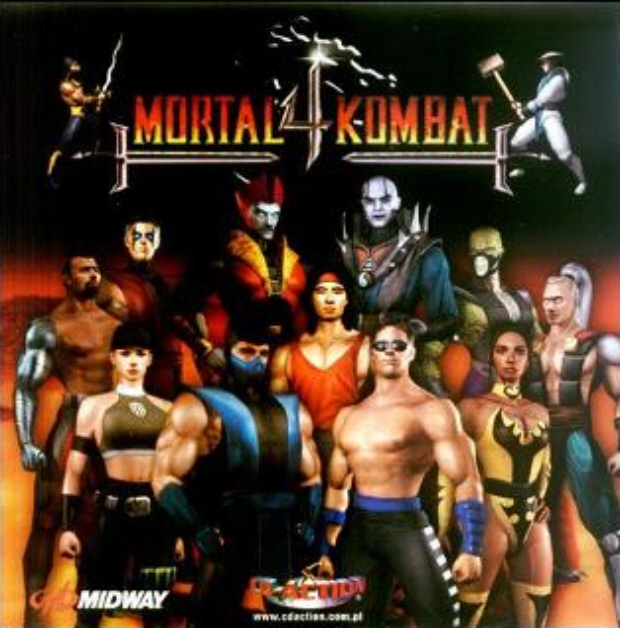 PS1 – To access the hidden Cheats Menu in the PS1 version of MK4, first start a 2 player game. Then when you reach the Versus Screen, enter the following code: Player 1 press: LP three times, LK twice. Player 1 press: LP twice, Block once, LK three times. Now once the match starts, pause, and then exit the to the Main Menu. Finally, enter the Options screen, highlight ”Vs Screen Enabled” and hold Run and Block. After a few seconds, you’ll hear a laugh. Keep holding the buttons down until the Cheats Menu appears. N64 – Simply enter the Options Menu, then highlight “Continue”. Now hold Block and Run. After you hear a laugh, keep holding the buttons until the Cheats Menu appears. At the Options Menu, highlight “Continue”. Now hold LK + BLK until you hear the word Outstanding. The Cheat Menu should now appear. Meat is a skinless combatant who made his debut in MK4. In order to unlock him, you need to complete the Group Mode. To play this mode, select “Group” at the bottom. You will then need to battle each character, one at at time, and win each match to conquer the mode! 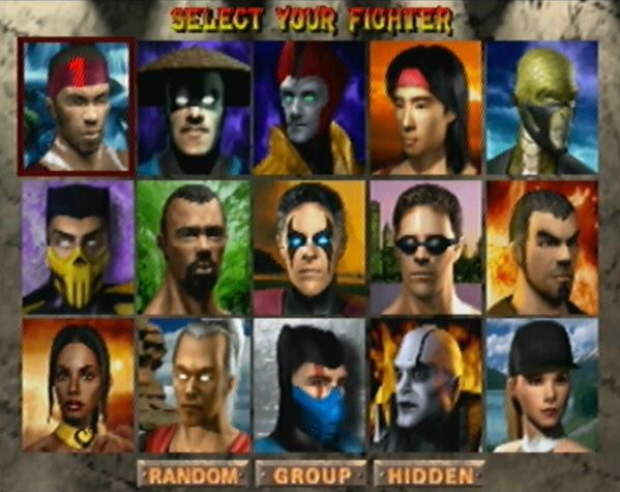 Once completed, choose a character at the Character Select Screen. A bloody skeleton will now replace the character you chose. Meat doesn’t have any of his own moves, and instead simply looks cool. He maintains all the same moves as the character you selected. You continue to play with Meat until you lose a match. If you lose, you will need to re-beat the Group Mode to play as Meat again. In order to play as the four-armed boss Goro, beat the game with Shinnok. Now, at the Character Select Screen, choose the “HIDE”(?) box, and select Shinnok while holding down Run+Block until the fight begins. If done correctly you’ll be playing as Goro at Goro’s Lair. Alternatively, you can simply access the Cheats Menu, then select the “HIDE”(?) box at the bottom of the Character Selection Screen. 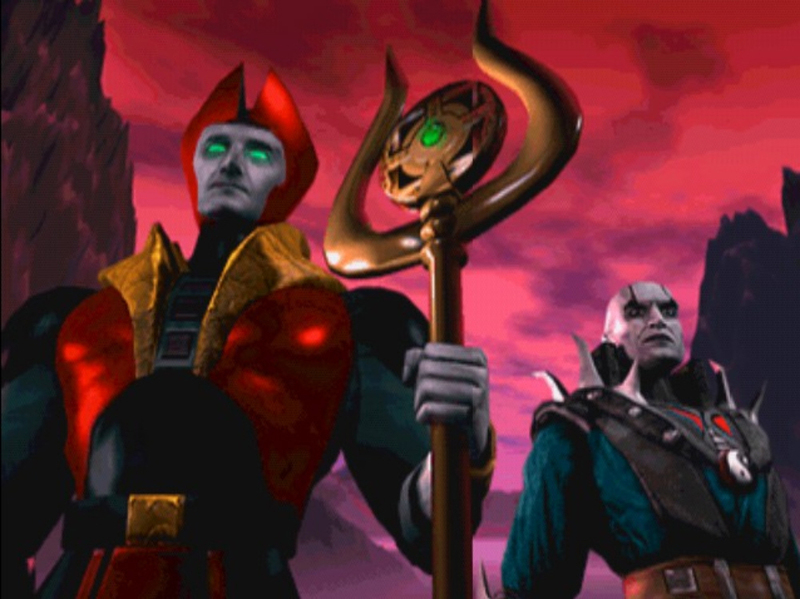 Then press Up, Up, Up, Left to highlight Shinnok’s icon. Now press Run + Block. To play as the elusive shadow ninja, Noob Saibot, beat the game with Reiko. Once at the Character Select Screen, choose the “HIDE”(?) box, and then select Reiko while holding down Run+Block until the fight begins. You will now be playing as Noob. Alternatively, you can access the Cheats Menu in place of beating the game. The numbers in the Kodes represent how many times that button needs to be pushed. You can change the outfit of certain characters by highlighting that character’s box and pressing the buttons below. Pressing the buttons will switch between that character’s hidden outfit(s). Note: For the N64 version simply press BLK+RN at the same time while on the characters box to switch between secret outfits. Johnny Cage has a surprising secret weapon! To use it, first start a single-player game. Then highlight Johnny Cage’s box. Now hold the Start Button and press X until three Ying-Yang symbols have flipped. Now let go of Start and press the X Button. If you did the cheat correctly, Johnny Cage will be dressed in a James Bond style tuxedo. Now, simply pull out Johnny’s weapon and replacing his Bowie Knife will be James Bond’s PP7 Pistol! This weapon shoots just like Fujin’s weapon and is a very neat touch! Whirlwind Spin (Hold Low Punch to continue spinning): Forward, Down, Low Punch. Levitate Opponent: Forward, Down, Forward, High Punch. Levitate Slam: After levitating your foe press Back, Forward, Down, Low Kick. Flying Knee: Down, Forward, High Kick. Dive Kick: Up, Down, Low Kick. Fatality 1: (Sweep) Tap Block+Run 8 tims. Fatality 2: (Outside Sweep) Down, Forward, Forward, Up, Block. Prison Stage Fatality: Down, Down, Down, High Kick. Goro’s Lair Stage Fatality: Back, Forward, Back, High Punch. Fireball: Forward, Back, High Punch. Teleport Stomp: Forward, Forward, Back, High Kick. Ground Stomp: Back, Forward, Down, Down, High Kick. Two Hand Swipe: Forward, Forward, High Punch. Super Uppercut: Down, Down, High Punch. Lunge Kick: Back, Back, High Kick. None. But Goro can pick up and use any dropped weapons. Red Star: Down, Forward, Low Punch. Cannonball: Back, Forward, Low Kick. Vertical Cannonball: Forward, Down, Forward, High Punch. Ground Slam: Back, Down, Back, High Kick. Black Dragon Sword: Forward, Forward, High Punch. Fatality 1: (Close) Forward, Back, Forward, Forward, Low Kick. Fatality 2: (Outside Sweep) Up, Up, Forward, Forward, Block. Prison Stage Fatality: Forward, Down, Forward, High Kick. Goro’s Lair Stage Fatality: Back, Forward, Forward, Low Punch. Missile: Down, Back, Low Punch. Ground Pound: Forward, Forward, Down, Low Kick. Dash Punch: Forward, Down, Back, Low Punch. Backbreaker: Block in air when next to airborne opponent. 2nd Slam: Hold Run + Block + High Kick. 3rd Slam: Hold High Punch + Low Punch + Low Kick. 4th Slam: Hold High Punch + Block + Low Kick. 5th Slam: Hold High Punch + Low Punch + High Kick + Low Kick. Spiked Club: Down, Forward, High Punch. Fatality 1: (Close) Back, Forward, Forward, Down, Block. Fatality 2: (Close) (Hold Low Kick) Forward, Forward, Down, Forward, (Release Low Kick). Prison Stage Fatality: Forward, Forward, Back, Low Kick. Goro’s Lair Stage Fatality: Forward, Forward, Back, High Punch. Low Blow: Block + Low Punch. Dashing Uppercut: Back, Down, Back, High Punch. Low Fireball: Down, Back, Low Punch. High Fireball: Down, Forward, High Punch. Broad Sword: Forward, Down, Forward, Low Kick. Fatality 1: (Close) Forward, Back, Down, Down, High Kick. Fatality 2: (Close) Down, Down, Forward, Down, Block. Prison Stage Fatality: Down, Down, Forward, Forward, High Kick. Goro’s Lair Stage Fatality: Back, Forward, Forward, Low Kick. Falling Fireball: Back, Back, High Punch. Rising Fireball: Forward, Forward, Low Punch. Air Fist: Down, Forward, High Punch. Hand Walk: Block + Low Kick. To stand up press Block. Leg Spin: While in Hand Walk position hold Low Punch. Throw: While in Hand Walk position press Low Kick. Ghurka Knife: Down, Back, Low Punch. Fatality 1: (Close) Up, Forward, Up, Back, High Kick. Fatality 2: (Outside Sweep) Up, Up, Up, Down, Block. Prison Stage Fatality: Forward, Forward, Down, Block. Goro’s Lair Stage Fatality: Back, Forward, Down, High Kick. High Fireball: Forward, Forward, High Punch. Bicycle Kick: Hold Low Kick for 3 Seconds and release. Dragon Sword: Back, Forward, Low Kick. Fatality 1: (Sweep) Forward, Forward, Forward, Down. BLock + Low Kick + High Kick. Fatality 2: (Close) Forward, Down, Down, Up, High Punch. Prison Stage Fatality: Forward, Forward, Back, Low Punch. Goro’s Lair Stage Fatality: Forward, Forward, Back, High Kick. Fireball: Down, Forward, Low Punch. Air Throw: Block in air when next to airborne opponent. Press Block to slam your opponent. Scythe: Forward, Forward, High Kick. Prison Stage Fatality: Down, Back, Back + High Kick. Goro’s Lair Stage Fatality: Forward, Down, Forward + High Kick. Green Skull: Forward, Forward, Low Punch. Weapon Steal: Forward, Back, High Punch. Teleport Stomp: Forward, Down, Low Kick. Dash Kick: Forward, Forward, High Kick. Spiked Mace: Down, Back, High Kick. Fatality 1: (Close) Hold Low Kick, Forward, Down, Forward, Release Low Kick. Fatality 2: (Outside Sweep) Up, Up, Down, Down, Low Punch. Prison Stage Fatality: Forward, Forward, Down, High Punch. Goro’s Lair Stage Fatality: Forward, Forward, Back, Low Kick. Lightning Bolt: Down, Back, Low Punch. Torpedo (Can also be done in air): Forward, Forward, Low Kick. Warhammer: Forward, Forward, High Kick. Fatality 1: (Close) Forward, Back, Up, Up, High Kick. Fatality 2: (Close) Down, Up, Up, Up, High Punch. Prison Stage Fatality: Down, Forward, Back, Block. Goro’s Lair Stage Fatality: Forward, Forward, Down, Low Punch. Shurikens: Down, Forward, Low Punch. After teleporting press Block to slam your foe. Circle Teleport: Back, Forward, High Kick. Flip Kick: Back, Down, Forward, Low Kick. Spiked Club: Down, Back, High Punch. Fatality 1: (Close) Forward, Down, Forward, Block + High Kick + Low Kick + Low Punch. Fatality 2: (Sweep) Back, Back, Down, Down, High Kick. Prison Stage Fatality: Down, Down, Back, Low Punch. Goro’s Lair Stage Fatality: Forward, Forward, Down, Low Kick. Acid Spit: Down, Forward, High Punch. Invisibility: Down, Forward, Block + Low Kick. Dash Punch: Back, Forward, Low Punch. Super Crawl: Forward, Forward, Back, Low Punch. Battle Axe: Back, Back, High Kick. Fatality 1: (Close) Hold High Punch+High Kick+Low Kick+Low Punch, then Press Up. Fatality 2: (Outside Sweep) Up, Down, Down, Down, High Punch. Prison Stage Fatality: Down, Forward, Forward, Low Punch. Goro’s Lair Stage Fatality: Down, Down, Forward, High Kick. Teleport Punch (Can also be done in air): Down, Back, High Punch. Fire Breath: Down, Forward, Low Punch. Long Sword: Forward, Forward, High Kick. Fatality 1: (Sweep) Back, Forward, Forward, Back, Block. Fatality 2: (Close) Back, Forward, Down, Up, High Punch. Prison Stage Fatality: Forward, Forward, Down, Down, Low Kick. Fujin: Forward, Forward, Back, High Kick. Jarek: Back, Back, Back, Low Kick. Jax: Forward, Down, Forward, High Kick. Johnny Cage: Down, Down, High Punch. Kai: Forward, Forward, Forward, Low Kick. Liu Kang: Back, Back, Forward, High Kick. Quan Chi: Back, Forward, Back, Forward, Low Kick. Raiden: Down, Forward, Forward, High Punch. Reiko: Back, Back, Back, Block. Reptile: Back, Back, Forward, Block. Scorpion: Forward, Back, Low Punch. Sonya: Forward, Down, Forward, High Punch. Sub-Zero: Down, Back, Low Punch. Tanya: Back, Forward, Down, Block. Battle Staff: Back, Forward, Low Punch. Fatality 1: (Close) Down, Back, Forward, Down, Run. Fatality 2: (Close) Down, Up, Up, Down, Block. Prison Stage Fatality: Down, Down, Forward, High Kick. Goro’s Lair Stage Fatality: Forward, Down, Back, High Punch. Ring Toss: Down, Forward, Low Punch. Leg Throw: (Hold Down) Block + Low Punch. Square Wave Punch: Forward, Back, High Punch. Bicycle Kick: Back, Back, Down, High Kick. Cartwheel: Down, Forward, Low Kick. Wind Blade: Forward, Forward, Low Kick. Fatality 1: (Sweep) Down, Down, Down, Up, Run. Fatality 2: (Sweep) Up, Down, Down, Up, High Kick. Prison Stage Fatality: Down, Down, Back, Back, High Kick. Goro’s Lair Stage Fatality: Forward, Down, Forward, High Punch. Ice Freeze: Down, Forward, Low Punch. Ice Clone (Can also be done in air): Down, Back, Low Punch. Slide: Low Punch + Block + Low Kick. Ice Staff: Down, Forward, High Kick. Fatality 1: (Close) Forward, Back, Forward, Down, High Punch + Block + Run. Fatality 2: (Sweep) Back, Back, Down, Back, High Punch. Prison Stage Fatality: Down, Up, Up, Up, High Kick. Goro’s Lair Stage Fatality: Down, Down, Down, Low Kick. Fireball (Can also be done in air): Down, Forward, High Punch. Downward Fire (Can also be done in air): Down, Back, Low Punch. Split Kick: Forward, Down, Back, Low Kick. Corkscrew Kick: Forward, Forward, Low Kick. Boomerrang: Forward, Forward, High Kick (LP will throw the weapon and make it come back). Fatality 1: (Close) Down, Forward, Down, Forward, High Kick. Fatality 2: (Close) Down, Down, Up, Down, High Punch+Block. Prison Stage Fatality: Back, Forward, Down, High Punch. Goro’s Lair Stage Fatality: Forward, Forward, Forward, Low Punch.